What Do You Know About Propane Autogas? Vehicles that run on propane autogas are cleaner, more efficient, and are comparable in performance to diesel and gasoline powered counterparts. These benefits coupled with so many others show us that these vehicles are a great choice for fleets. How much basic knowledge do you have about propane autogas vehicles and this fuel that allows them to maintain the torque and horsepower of conventionally fueled vehicles? Each autogas fuel system is equipped with an emergency shut off valve that will automatically stop the flow of propane should the fuel line rupture unexpectedly. Propane autogas doesn’t ignite until it reaches a temperature of 920 degrees Fahrenheit whereas gasoline and diesel will ignite at 495 and 410 degrees Fahrenheit, respectively. If propane autogas leaks, it is no longer under pressure and will therefore turn into a vapor. When this happens it will dissipate into the air without harming the environment. 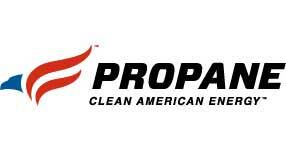 Propane autogas is odorized and can be detected if there is a leak. The tanks that house this fuel are made of puncture resistant steel, making them much stronger than tanks for other fuels. These tanks are built to specifically withstand over-the-road conditions, pressure, and inclement weather. Propane autogas tanks also come standard with overfill protection devices, emergency shut off valves, and pressure relief valves. 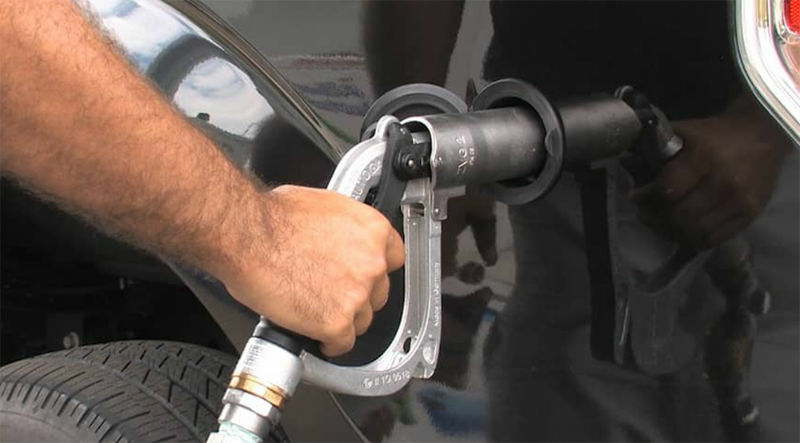 Refueling with propane autogas is similar to refueling your personal vehicle with gasoline. Propane autogas refueling stations are located throughout the country and the equipment used to refuel looks and feels like a gasoline or diesel pump. The Alternative Fuels Data Center lists the over 2,500 stations across the country. With so many places to refuel it’s easy to power your fleets across the U.S. Pressure relief valves and overfill protection devices can also be found at the propane pump – these will allow propane to maintain its liquid state and will keep your tank from becoming too full. Not only does powering with propane eliminate the need for additional fluids and filters, the price per gallon of propane is often lower than that of diesel and gasoline. The current price for propane with ARRO Autogas is $2.17 per gallon. In California, the current average price for a gallon of gasoline in most major cities is $3.50 and expected to rise to over $4.00 statewide. Nationally, the average price per gallon is $2.81 – still considerably higher than propane especially when thinking about running numerous fleet vehicles. For diesel, the Energy Information Administration reported a national average of $3.00 per gallon for the fuel at the beginning of this summer.